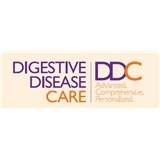 Digestive Disease Care (North New Hyde Park) - Book Appointment Online! We specialize in diseases affecting the gastrointestinal tract which includes the esophagus, stomach, small intestine, colon as well as other organs such as the liver and pancreas. The procedures we perform include Upper Endoscopy, Colonoscopy, Endoscopic Retrograde Cholangiography (ERCP) and Endoscopic Ultrasound (EUS) with fine-needle aspiration (FNA) and various other procedures. Our mission as a healthcare provider is to deliver the highest standard of care in a friendly, and professional environment. We are committed to providing comprehensive and prompt services. Very thourough and caring. He took the time to clearly explain the medical reasons behind my symptoms and situation. I scheduled a same day appointment and all of my needs were met and exceeded. I came in needing medication and although I needed a procedure and blood work to come back before being prescribed; the doctor left me with some sample medication in the meantime. The assistants at the front desk were kind, courteous and knowledgeable. The office is bright, modern and clean and is in a great location with plenty of parking.